The World Record Academy recently awarded Dr. Greg J. Marchand and his surgical team a world record for removing a 17-centimeter cancerous ovarian tumor using only small incisions in the abdomen, a technique called a laparoscopy. While removing cysts and tumors using laparoscopic surgery is a standard practice, Dr. Marchand said it is rare to use the technique in conjunction with an ovarian cancer staging procedure. The surgeons completed the procedure using “in-bag” morcellation, a technique developed by Dr. Marchand in which the tumor is bagged and broken down inside the bag so the pieces can be safely removed through tiny holes. Otherwise, patients would need a sizeable incision to surgically remove such a large mass, requiring additional recovery time and a great deal more postoperative pain. 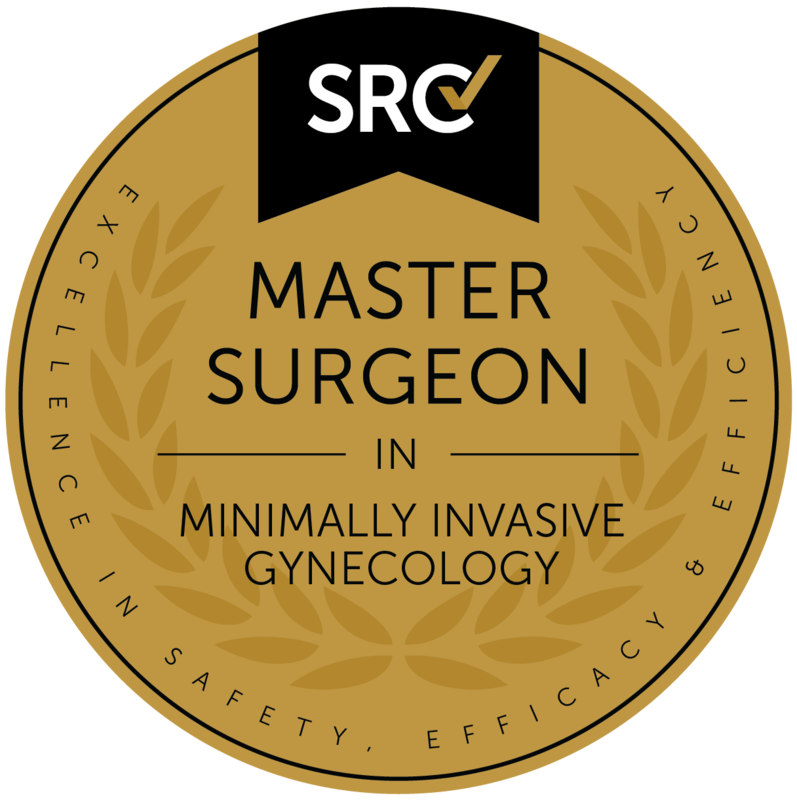 Marchand, a board-certified OB-GYN specializing in “minimally invasive surgery,” worked closely with a gynecologic oncologist in completing this amazing surgery. Marchand said the most difficult part of the surgery was removing the cancerous mass without spilling any cancer cells into the abdomen. If cancerous material spilled back into the abdomen the cancer could have spread and worsened the patient’s prognosis. The World Record Academy helped verify that this type technique had never been accomplished previously on any malignant tumor this large. Dr. Marchand was diagnosed in 2010 with mixed-cell carcinoma, (an aggressive cancer of the testes,) said it is particularly gratifying that his technique can help cancer patients. He received surgery and treatments in 2010 has been in remission since. This is Dr. Marchand’s second world record in laparoscopic surgery. In 2008 Dr. Marchand was awarded a Guinness World Record for the removal of the largest uterus laparoscopically. In this case, it was not a cancerous mass, but a seven-pound benign (non-cancerous) uterus that was removed. Description of Technical Procedure Performed: Successful Complete Laparoscopic Ovarian Cancer Staging Procedure with Hysterectomy, Bilateral Salpingo-oophorectomy, omentectomy and dissection of pelvic and para-aortic lymph node dissection, and removal of 17cm large right-sided ovarian tumor. The tumor was found to be adenocarcinoma on frozen section and “Well-differentiated Adenocarcinoma with pushing invasion” on final pathology. The technique of mass removal was a modified “in-bag” morcellation invented by Dr. Marchand which included exteriorization of the mouth of the bag prior to “in-bag” morcellation. Morcellation used only blunt instruments and did not involve stretching the incision beyond the 14mm required to facilitate the laparoscopic retrieval bag. No trochar was used. Abdominal and Pelvic washings were collected prior to the removal of the mass and ultimately proved negative. Method of Verification of Tumor Size: Pathology specimen reconstructed, verification by board certified pathologist. Lead Surgeon: Greg J. Marchand M.D., F.A.C.O.G., F.A.C.S., F.I.C.S, S.O.E.M.I.S. Greg J. Marchand M.D., F.A.C.O.G., F.A.C.S., F.I.C.S, S.O.E.M.I.S. Why did it take so long for the World Record to be awarded? To verify this record, we had to research all the other related surgeries that had been published to determine if ours was truly the largest malignant tumor ever surgically staged through completely laparoscopic means. After our research determined it was, we employed the World Record Academy who underwent their own verification process. Following the completion of these two independent verifications, we can now confidently say that this is likely the largest malignant ovarian tumor to ever undergo completely laparoscopic surgical staging. What is “In-Bag” morcellation, how is it different from just breaking something apart, or regular morcellation? In-Bag morcellation refers to the surgical technique of placing an object inside a bag, usually plastic, before breaking it into pieces. Usually the object is broken into small pieces so that it can be removed through small holes, thus not needing to make a large incision to remove the object. This high level of caution is reserved for objects that could contain cancerous cells. In the case of suspicion of cancerous cells, it is important not to spill the material back into the patient’s body cavities because cancer cells can “Seed” or begin new cancer colonies if they are moved around the body. In this case, we removed a 17-centimeter cancerous tumor through a hole that was approximately 1.4cm large. This technique is one of the more extreme examples of “In-Bag” morcellation. What did Dr. Marchand invent? Did he invent laparoscopy or the Ovarian Cancer Staging Procedure? Dr. Marchand has pioneered techniques for “In-Bag” morcellation, and particularly the technique used in this case to remove the large 17cm tumor. The technique used here involved stretching a 1.10cm incision in the umbilicus to facilitate a bag that was made to fit a 1.5cm port. Thus, the actual size of the hole after stretching around the bag was approximately 1.4cm. This invented technique also included the painstaking process of removing the mass through the port without breaking the bag. This included the use of special blunt instrumentation to remove the tumor without breaking the bag (and spilling the tumor.) Dr. Marchand did not invent laparoscopy or the Ovarian Cancer Staging procedure, but he did invent the technique of removing the large cancerous tumor, which was then added to a Laparoscopic Ovarian Cancer staging procedure. Is Dr. Marchand a gynecologic oncologist? No. Dr. Marchand is a generalist OBGYN with special training in minimally invasive surgery. A board certified gynecologic oncologist was present for this surgery as part of the surgical team. Dr. Marchand routinely includes consultation with the gynecologic oncology service as part of his care of any patients suspected to have a malignancy. Dr. Marchand would never attempt to perform an ovarian cancer staging surgery without the assistance of a gynecologic oncologist, and is very appreciative for the patient care that has been given his colleagues. Dr. Marchand has referred many patients and continues to refer to his esteemed colleagues practicing gynecologic oncology. What do the letters after Dr. Marchand’s name mean? Why is this record recognized by the World Record Academy and not Guinness? Dr. Marchand has previously received a World Record from Guinness for other surgical accomplishments. Unfortunately, Guinness politely declined to recognize this achievement and said it was too specific to create a record for. We discussed the importance of recognizing cutting-edge surgical excellence in the field of cancer surgery with The World Record Academy, and they agreed to recognize the category after extensively researching the accomplishment. A cancer staging surgery is a removal of the pelvic organs to treat and determine how far a cancer has spread. In this case the cancer is an ovarian cancer we are discussing. The surgery includes removal of both ovaries, the uterus, the omentum (a fatty organ in the abdomen) as well as the removal of lymph nodes and other biopsies. It is a complex surgery that is usually performed through a large incision. Although the surgery has been performed by laparoscopic techniques in the past, we believe this is the largest tumor to ever be staged using a completely laparoscopic technique. What is so special about this record? Hasn’t cancer staging surgery been performed on larger ovarian tumors? Yes, staging procedures have been completed on larger tumors, but we believe that this is the largest tumor to ever be staged through entirely laparoscopic techniques, meaning without cutting the patient open. The unique part of this procedure was the removal of the extremely large mass without spilling any of the contents in the abdomen. This was performed with special instruments using a large bag. The technique involved exteriorizing the mouth of the bag and then removing the large mass bit by bit, using a technique pioneered by Dr. Marchand. There is no question that larger tumors have been staged by open-incision procedures, and that larger non-malignant tumors have been removed laparoscopically without the need for a cancer staging procedure. How can you be sure that this is the largest tumor to ever receive laparoscopic cancer staging? What steps did you take to verify? It is very difficult to research every single cancer staging procedure ever performed. However, we performed extensive searches of all available literature and publications regarding laparoscopic ovarian cancer staging surgery prior to presenting our claim to The World Record Academy. The World Record Academy then went on to verify the claim independently. How would the average ovarian cancer patient benefit if all staging procedures could be performed though minimally invasive means? If all ovarian cancer staging procedures could be performed using laparoscopic means, patients could enjoy much faster recovery from surgery, with a much quicker return to a high quality of life. This would mean that patients could begin any necessary chemotherapy or radiation treatments sooner, and be healthier when they undergo these treatments. The overall goal would be a lower mortality and higher quality of life for patients facing a malignant diagnosis. What gave you the idea to invent this technique? What gave you the idea to qualify for a world record? What does this technique mean for Ovarian Cancer patients with large tumors? What does this mean to you as a cancer survivor? “I underwent surgery and treatments after I was diagnosed with Mixed Cell Testicular Cancer in 2010. I am very lucky that the surgery for my stage of Testicular cancer was a very minimally invasive procedure, and that I had a good surgeon. I remember the horrible fear of “just not knowing what was going to happen,” and I think that fear is really worse than any of the pain of the cancer or the treatments. When I woke up from the surgery, I really felt great, and over the next few days I had a very quick recovery. I was able to get back into my life quickly, and although I was still afraid of what was to come, I felt like I had the strength to fight. When I think about my patients with Ovarian cancer, I would like them to be able to come out of surgery feeling like they have the strength to fight, to take on the cancer. I can imagine that when you are recovering from a one of these big, open traditional staging procedures, you’re in excruciating pain, you really can’t move, and you like you’ve just been hit by a bus. I’m sure you don’t feel strong and ready to fight the cancer at that point. You might just feel like giving up. If my technique can help even a few patients avoid that feeling, then thats the most valuable thing in the world to me. That’s why I’m really passionate about what this new cutting edge technique can do for cancer patients, and I feel it can be just as valuable in the fight against cancer as the latest “big pharma” wonder drug. Please contact the Marchand OBGYN PR department at the below address. Patient privacy limits details that can be disclosed but all information is available for fact-checking purposes.